As a DESOTEC customer, you rarely come in direct contact with the activated carbon itself. It may nevertheless be useful to consult the extended Safety Data Sheets as defined by REACH Regulation (EC) N°1907/2006 for the safe handling of activated carbon. 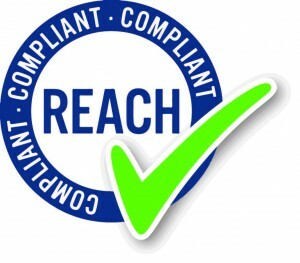 As per this REACH regulation, our extended Safety Data Sheets will contain an Annex with Identified Uses and their corresponding safe use information (exposure scenarios). The production processes of activated carbon may be divided into chemical and thermal processes both of which require the use of elevated temperatures. Chemical activation is achieved by degradation or dehydration of the raw material structure, which is usually sawdust (wood-based). Steam activation can be used to activate almost all raw materials (coal-based, coconut shell-based, wood-based etc.). A variety of methods have been developed but all of these share the same basic principle of carbonisation and initial oxidation followed by an activation step with steam. Wet activated carbon preferentially removes oxygen from air. In closed or partially closed containers and vessels, oxygen depletion may reach hazardous levels. If workers are to enter a vessel containing activated carbon, appropriate sampling and work procedures including local requirements for potentially low-oxygen spaces should be followed.